Distinguishing Characteristics:Light brown hair;blue eyes. Brannen has a burn scar on her right forearm. Brannen was last seen at a holiday party in the Woodside Apartment Clubhouse on December 3,1989 in Lorton,Virginia. Her family resided in the apartment complex at the time. Brannen was wearing a navy blue sweater with a yellow applique of the Sesame Street character Big Bird on it,a blue and red plaid skirt,red tights,black patent leather shoes with gold bows and a pink hooded jacket when she disappeared. Caleb Daniel Hughes emerged as a suspect in Brannen’s case almost immediately. Hughes was employed as a groundskeeper at Woodside Apartments at the time of Brannen’s disappearance. The Federal Bureau of Investigation (FBI) examined blood and fiber evidence from Hughes’vehicle in the weeks following Brannen’s disappearance. He was convicted of abducting Brannen with the intent to defile in 1991. Two other men were convicted of attempting to extort ransom money from Brannen’s mother shortly after her daughter’s disappearance. The individuals were not connected to her actual abduction. Brannen has never been located. Foul play is suspected in her case due to the circumstances involved. If you have any information concerning this case,please contact Fairfax County Sheriff’s Department 703-246-7800 or Federal Bureau of Investigation (FBI) 202-324-3000 . 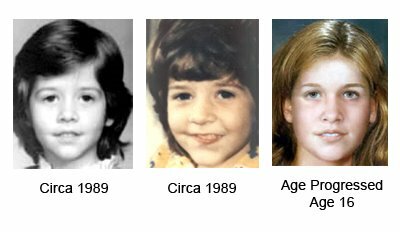 I have been asked on via request on the blogger to see if Tarot can throw any light on the situation of Melissa Lee Brannen who disappeared at least 22 years ago. Her case is what is now known as a 'cold case' due to the fact that she has never been found. Tarot can often bring information to light by small glimpses into the past present and the future. It does not have ALL the answers to every single detail but sometimes it can show situations that often turn out to be verified. Tarot is not 100 per cent accurate however and I ask that you always look to factual sources for other true information. When I received this card I seemed to connect immediately to the Woodside apartments because of the nature of the the Ace of Pentacles. It can show woods/forests/gardens/glades and open landscape. It also does show anyone with green fingers when asking about occupations. The story that is available of Melissa is written above and one can see that this card is mirroring the same possibilities. We have to be careful though as Tarot can give what is already thought or known. This Ace of Pentacles reversed shows a lot of material greed. So it seems to show that someone might have been in debt and wanted to 'get money' or wanted to procure some money. Melissa's report does tell us about someone that tried to get money out of the parents. Whether tarot is pointing directly in that direction as to what happened to Melissa or just pointing out what was suggested I cannot be sure. However, it IS there and it has been noted. The Ace of Pentacles is a gift card or an inheritance or legacy and when that is reversed it is most certainly suggesting that someone might want money in big amounts so it makes you wonder how significant that might be? This card is directly connected to the day she disappeared, so it raises questions I would have thought. Meanwhile, the Ace also shows Gates/Arches and landscape/gardens so it makes me feel that she was taken directly from that building and must have been 'outside' of it. The situation of the pentacles is also about 'working' or business matters and it could be that someone was out of work or felt that they might be made unemployed OR encounter financial troubles. That way one might need to procure more cash in some way. I am seeing the outside for work rather then the inside. Did someone have their job or security on the line? I seem to get a timing of under a year here either for living or working. There would be some kind of material insecurity here and eventually ending in some kind of 'eviction' so I wonder if this might all add up somehow? as Im feeling this case might be resting on some kind of 'bad business' or a financial situation that someone was not keen to let go of. It seems to me that someone was 'worrying too much about money'. Money here seems to suggest security, without it might be a different story? The question is who had the problems with money? It seems to me that Melissa's security was based on cold hard cash or the lack of it whichever way that transpires. The Ace can tell us about vacations and this card is upside down so one might link it to the 'holiday' party where Melissa was alleged to have disappeared. It certainly does seem to mention it one way or the other as 'part of the story'. But it also seems to me that with the Two of Pentacles that someone had a lot of difficulty juggling their lives. Family, home and financial matters seemed to be a big problem. It seems that every time there is a step forward here there are two steps back and it also casts a lot of problems on finance and in a big way. Were the family victims of a financial situation? I do not see 'money in the bank' in the 'Four' and I see money slipping from hands as soon as it is received so this is what makes me feel that Melissa's disappearance is solely balanced on a financial issue and insecurity as well as a possible need at some point to make 'quick cash' whatever that means also. Someone just cannot seem to get their financial plans together. The Ace can also tell us about a contract that might expire that has caused financial alarm? In direction the Ace would produce North but South may also come up here. Either starting or ending points. Curiously, asking where Melissa is today, we have the Wands card which are always South cards. North/South have appeared in the original card so perhaps that must be taken note of. This card is a card of pure burden and stress and worry that have come up in this case. It is reversed so we have to take into account that there are very bad intentions here in order to deal with these huge burdens. Here we have someone who is going towards a town or building to lay down their problems but I seem to feel looking at this card inverted that this girl is 'away' from these buildings. There does appear to be lies and deceit in this card and even treachery and I concern myself about someone who was supposed to do a 'job' and who it was delegated to. I feel Tarot is hovering on past elements here but having said that it might link in currently to the direction of where this child is. This card can be a 'victim' status card so it might not be a happy card for Melissa. However, with the Page of Wands also reversed, it does make me wonder that somebody is not in a position to throw light anymore? I feel that somebody younger might be able to say but I think they would be oppressed by someone else and be demanded not to say anything. So if I was looking at this card the person that could lift the oppression on Melissa would be a younger person and possibly Male. Because these cards end in the King of Wands reversed I still feel that the 'spokesman' who 'could be' will very likely say nothing. However I still feel it is possible to find Melissa and this card tells me that it can still be the case but when I am not sure only that that ball could roll if someone would speak. I see a lot of bad energy in this card and it still has to be borne in mind that wands can represent great anger as well as action. I do not like to focus on life or death issues, but if there was a 'new start' for Melissa elsewhere I still see a lot of problems on that as it seems to be highly opposed here. So, I am at a bit of an impasse on making a suggestion here as to her 'well being' and feel that what is said should be enough? Trees buildings and Rolling Hills are part of the 10 of wands but the feeling is that she would be 'away from that area'. Wands are 'hot' so I would link her to somewhere that is hot. That could represent deserts or landscapes with a lot of terrain that is not over vegetated though agricultural aspects. It seems that Tarot is giving us 'intrigues' here so it is telling us also that the case is left open right now. Bear in mind that there is a TEN as to 'where Melissa is' so I would have thought that TEN might mean something , perhaps TEN away from the town?? In respect of when Melissa might be found all we are given is the Strength card. It could project a stalker around the family in the Lovers card previously reversed and it could also suggest a lot of family contraraties also perhaps someone around the family. These things I feel might be known, however this is the Find card and it can produce what it wants to without any help from me. This card is an EIGHT - therefore an Eight must have some significance to this matter. In this card there might be a little water on what appears to be the terrain described in the 10 of wands and there seems to be a loss of physicality in this card. It might be telling us that the answer to when this girl will be found is still down to a person to tell rather than to find her physically be looking. The Chariot reversed might suggest a vehicle and it might also suggest some kind of 'escape' factor its just whether that is for Melissa or someone else? But I feel that an area with Hills or even a name like that might come up or even be useful. The direction I have must be the same as in the 10 of wands as it is not repeated in this card as it is with the first and second produced above. I would look perhaps between 8 and 10 as markers perhaps in distance or routes in connection to this girl. Tarot is NOT always right about every detail but I write what it gives to me. Perhaps it will be difficult to find her with the strength lacking in this card. Lions and Roses are often shown here and there also appears to be a female who might be aware of details but it seems that nothing has come to the surface. It is possible with this card reversed to consider SOUTH. South can mean south in direction or south underground. One has to try to think about that. Underground can also mean ' hidden information' another point to make. Ten of wands are often woodcutters cards as the man is carrying logs, logs build cabins and its possible that she is connected to a cabin that is either North or South of where she was or that it could be somewhere with possible trailers, but I DO see isolation here so not highly populated? I hope this tarot helps, but having said that I am aware of Tarot not giving absolutely every detail and I also know that some details might not apply of each card. It is a matter of reading and discerning for oneself. This tarot Melissa is a brief overview and I am sure I might have missed certain elements out and if so I will try to get more time to see what I have overlooked. I do hope as with all cases that all missing children can be found. Thank you for posting your visions and sharing them with us all. I am aware that those with metaphysical abilities are not always listened to but I do hope that this will change in the future. After all, though it is a 'taboo' subject for some ' we might be right'! 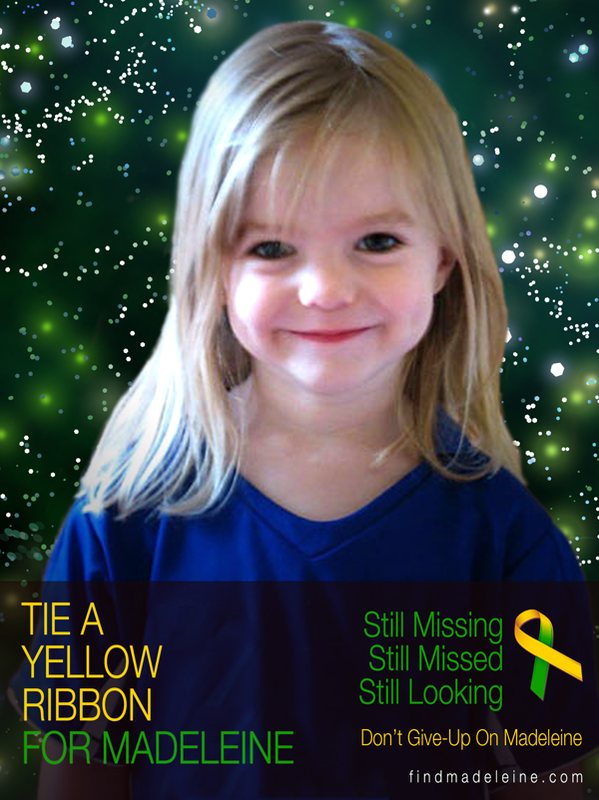 So I hope that however the information is collaborated that this child is found. Your reading was very interesting. I hope someone can help re the apartment. I only look at Tarot on the blogger voluntarily for Missing Children. If you want to consult me for a private reading unconnected to missing people you can find my link above. Hope this helps. Hi, I am a developing medium. I am only now embracing my gifts. As I read the above comment, I got a tingling feeling on my left side. I believe this is my guide's way of getting my attention. When Melissa disappeared, I was 11 years old. I never forgot watching the news in my kitchen eating dinner. I had a dream about her a few months ago that was traumatic in nature. I am fairly certain that Melissa's spirit is drawn to children who may also be sensitives. Topped with the fact that this was the last place she lived (it does not have to be the exact same apartment). Melissa's childhood was stolen from her, so I believe she is just being a kid. The lack of peace and closure her loved ones have keeps her earthbound somewhat. I will meditate on this. I would like to help you. I read your tarot reading and it has a lot of similarities to what I've always thought happened to her. There is a wastewater treatment plant(where I've worked since 1990) directly behind the woodside apartments. The multiple hearth incinerator building that was being used at the time was less than 100' from the chain link fence separating the apartments from the treatment plant and is a fairly secluded area of the plant. It's south of the apartments and obviously has alot of water. Based on the incompetence and lack of work ethic of the incinerator operators(2) and the fact that they hardly ever left the control room(which was 3 floors up and on the opposite side of the building) it's always been my belief that he could have easily cut through the woods, entered the building, go up the 4 flights of stairs and dump her body into the incinerator and leave the same way without ever being noticed. I'd always been told by older employees that the police came through the plant and searched but that they never had the incinerators shut down or even looked inside. Within a year or so the incinerators were shut down and another, newer set of incinerators started being used on the opposite side of the plant, far away from that area. It wouldn't surprise me if something(a bone or tooth) had been found and a supervisor, fearing losing his job, figured out what it was and covered it up or never said anything. It just seems to fit the reading so well. Has anyone ever tried to search for Melissa with this information? Was this girl ever found? ?